Secret legal files show that conviction in aircraft bombing case would probably have been overturned. Fresh scientific evidence unearthed by a Scottish legal review undermines the case against the man convicted of being responsible for the Lockerbie aircraft bombing, an investigation for Al Jazeera has found. The Scottish Criminal Case Review Commission (SCCRC) report details evidence that would probably have resulted in the verdict against Abdel Baset al-Meghrahi, a Libyan man convicted of carrying out the bombing of Pan-Am flight 103 in 1988, being overturned. ‘Lockerbie: Case Closed’, an hour-long documentary to be aired on Al Jazeera on Monday, examines the evidence uncovered by the SCCRC as well as revealing fresh scientific evidence which is unknown to the commission but which comprehensively undermines a crucial part of the case against the man known as the Lockerbie bomber. Among the evidence examined by the SCCRC was the testimony of Tony Gauci, a shop owner from Malta, and the most important prosecution witness in the case. Gauci identified Megrahi as a man who had bought clothing and an umbrella from him on December 7, 1988 – remnants of which were later recovered from among debris recovered from the disaster scene. The SCCRC found a number of reasons to seriously question this identification and Gauci’s account of events on that date, which was also the only day on which Megrahi could have been present in Malta to make such purchases. The report also raises concerns about the legitimacy of the formal identification process, in which Gauci picked Megrahi out from a line-up. The commission found that Gauci had seen Megrahi’s photo in a magazine article identifying him as a possible suspect many weeks before the parade took place. The SCCRC also found that Scottish police knew that Gauci was interested in financial rewards, despite maintaining that the shopkeeper had shown no such interest. Gauci reportedly picked up a $2 million US government reward for his role in the case. Under Scottish law, witnesses cannot be paid for their testimony. Most significantly, the documentary will reveal the dramatic results of new scientific tests that destroy the most crucial piece of forensic evidence linking the bombing to Libya. The new revelations were put to the terminally sick Megrahi in Libya, and his comments on the case will be heard for the first time in these films. Of Gauci, he maintains that he never visited his shop. “If I have a chance to see him [Gauci] I am forgiving him. I would tell him that I have never in my entire life been in his shop. I have never bought any clothing from him. And I tell him that he dealt with me very wrongly. This man – I have never seen him in my entire life except when he came to the court. I find him a very simple man,” Meghrahi told Al Jazeera. Lockerbie: Case Closed will be broadcast on Monday, February 27 at 20:00 GMT on Al Jazeera English. him as purchasing clothes which were found packed around the bomb, on a day Megrahi admitted he was in Malta. But in preparation for the second appeal, which Megrahi abandoned when he was released on compassionate grounds after a cancer diagnosis, his defence teamwas able to examine the fragment and other key pieces of evidence. investigative journalist, was also in Megrahi’s defence team and worked closely with him to produce the book. But Susan Cohen, an American whose daughter also died in the bombing, said: “None of this sounds any different from what I’ve heard before. With these documentaries, is there going to be a panel afterwards, someone who is representing someone who is not the voice for Megrahi propaganda? 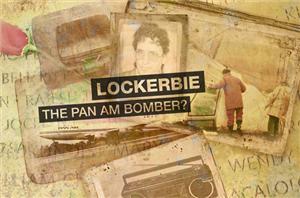 still branded “the Lockerbie bomber”. Many believe convicted killer Mohammed Abu Talb is the real Lockerbie bomber.